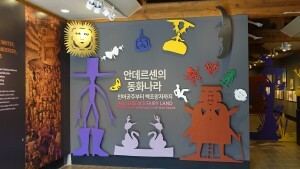 Four final-winning teams will win a 10 day trip to Gyeonggi Province. USD 10,000 travel expenses for airline tickets and other travel expenses will be provided for each team. 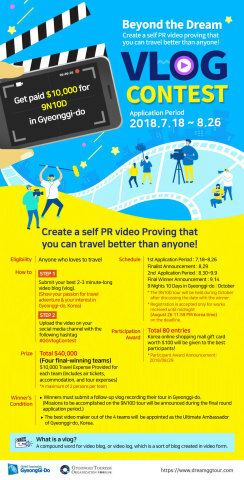 SUWON, South Korea--(뉴스와이어) 2018년 08월 16일 -- Gyeonggi Provincial Government and Gyeonggi Tourism Organization (GTO) are hosting an international video contest called “Beyond the Dream VLOG Contest 2018.” Video submissions will be accepted until August 26, 2018 (Korean Standard Time).